Cocktail Soju Happy Hour Everyday!! 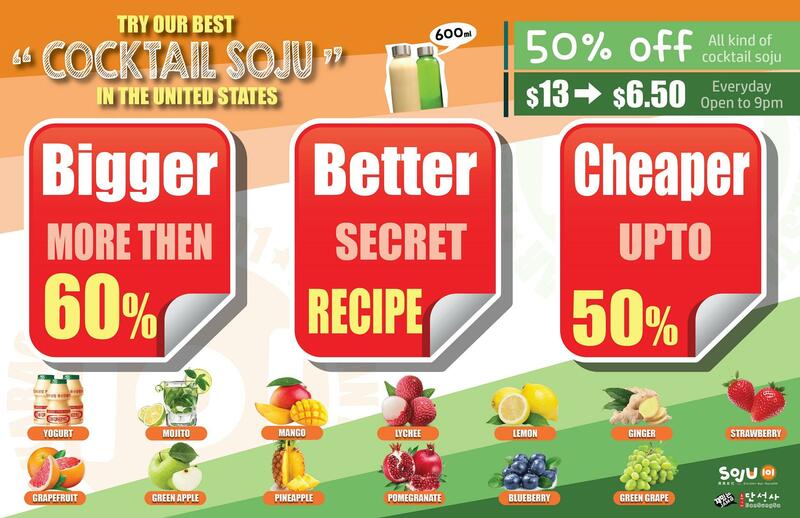 Try our best cocktail Soju in the United States! !